I saw this a long time ago, and just remembered it recently. 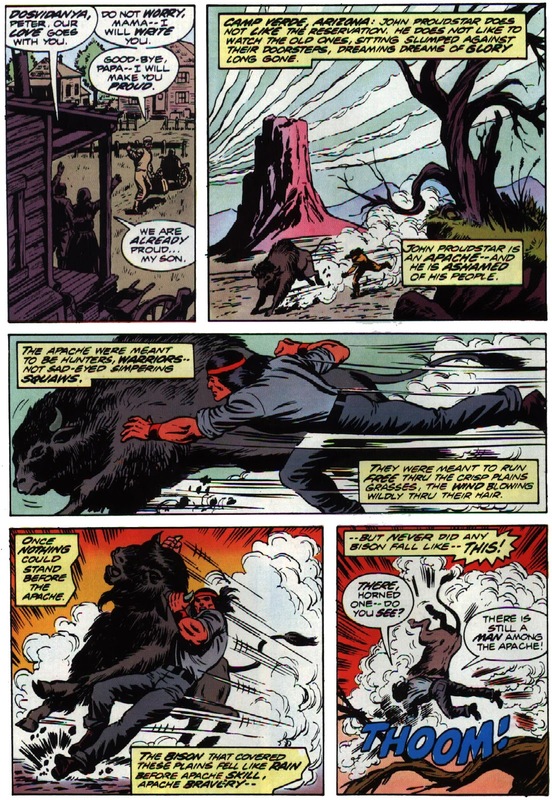 The character in question was a native American; he runs up to a speeding bison, grabs it by the horns (literally) and throws it to the ground on its back. 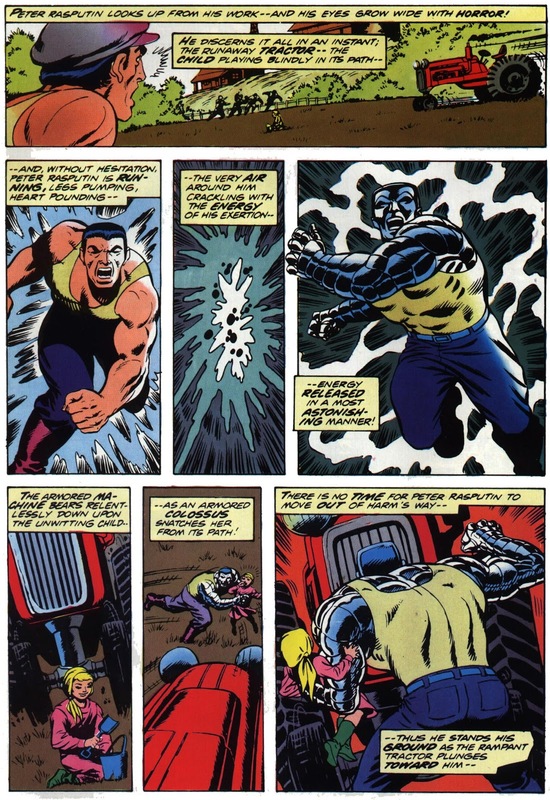 I know it was an X-Men comic because the same comic showed Colossus turning his skin to steel and moving to save his sister from being chewed up by a combine. Thunderbird aka John Proudstar, brother to James Proudstar aka Warpath. The comic you're remembering is Giant-Size X-Men #1 (1975). It's Thunderbird's first appearance. Indeed, ealier in the issue Peter saved his sister from being run down by a tractor. Not the answer you're looking for? Browse other questions tagged marvel comics x-men character-identification or ask your own question. Which Sci-Fi comic book series was the first to be based on a character after that character was featured in the movies? Which character in a comic book adaptation returned after staying dead the longest? How to find all issues in which a comic character appeared? In which comic does Batman travel back in time to the night of his parents’ murder?